The subtle system is also known as the tree of life in many other spiritual traditions. It is closely linked to our nervous system, which it keeps in balance, and after Realisation, it actually enables us to feel the state of our energy channels and our chakras. Indeed, we can detect the subtle system functioning within us due to the presence of a cool breeze, a prickling sensation or sometimes heat on particular parts of our hands or on top of our heads. A cool breeze felt equally on the fingers and the palms of both hands indicates that our inner being is balanced and in good condition. As the subtle system is the cause and the support of our nervous system, it acts at every level of our being, spiritually to begin with, then physically, mentally and emotionally. 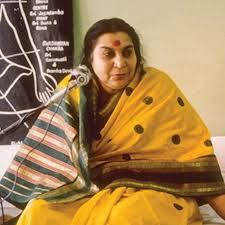 Once this mechanism is awakened and gradually mastered by practising Sahaja Yoga, it becomes a marvelous instrument in developing the personality, allowing us to integrate consciously and of our own free will, the Creation from which we came. Only the Kundalini has the power to awaken the subtle system, which can actually be felt on your hands, once it is awakened. Every energy center (represented here by a colour on each finger) can be felt and decoded. The nervous system provides us with information about our physical, emotional and mental being. It reproduces the exact state of our subtle and spiritual being.